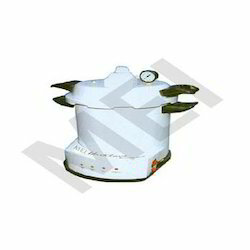 Prominent & Leading Manufacturer from New Delhi, we offer top loading autoclave uniclave, uniclave plus and mini uniclave. 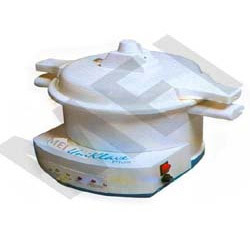 Backed by our efficient team, we are engaged in offering optimum quality Top Loading Autoclave Uniclave. Made using quality grade raw materials under proper supervision, these fully automatic machines are used for effective sterilization of equipment. Exclusively demanded in health clinics and nursing homes, offered products are appreciated for their optimum performance. We are the leading manufacturer, exporter and supplier of Uniclave Plus. 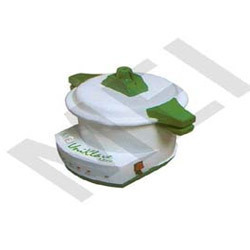 Handles and release valve is made of special grade nylon material for better grip and heat resistance. This smart device is easy to use and install and is provided with programmable integrated circuit chip for energy efficiency. Our company is counted among the leading manufacturers, distributors and exporters of superlative quality Mini Uniclave. Known for their dimensional accuracy, compact size and high durability, these products are manufactured under strict supervision using best quality raw materials. Moreover, our products are available at affordable market prices.